Star Taxi business is the free and perfect solution for your hotel, restaurant or business. Upon your clients or partners departure, Star Taxi is the must have application for requesting a taxi. Star Taxi account directly on your office PC. 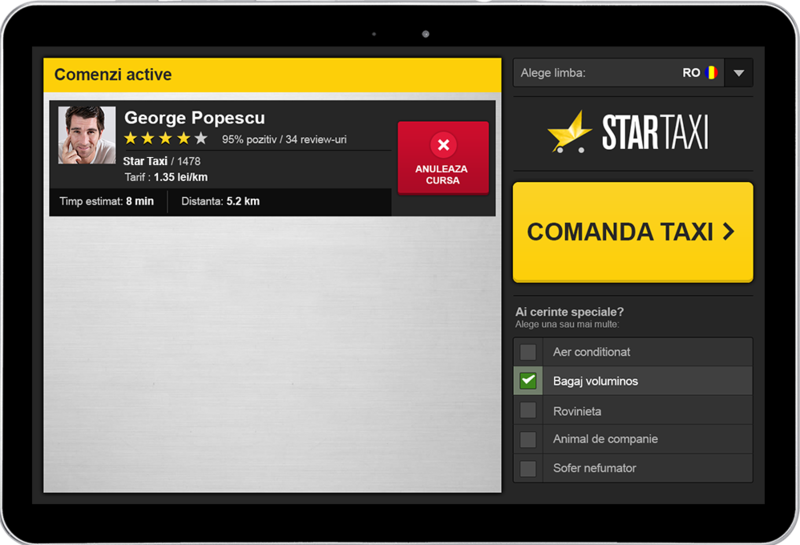 Due to Star Taxi Cloud System, we offer the desktop version for requesting a taxi directly from your browser. Easy, in just a few steps, create your own account for requesting a taxi for your clients, partners or even for your employees,whenever it is necessary. 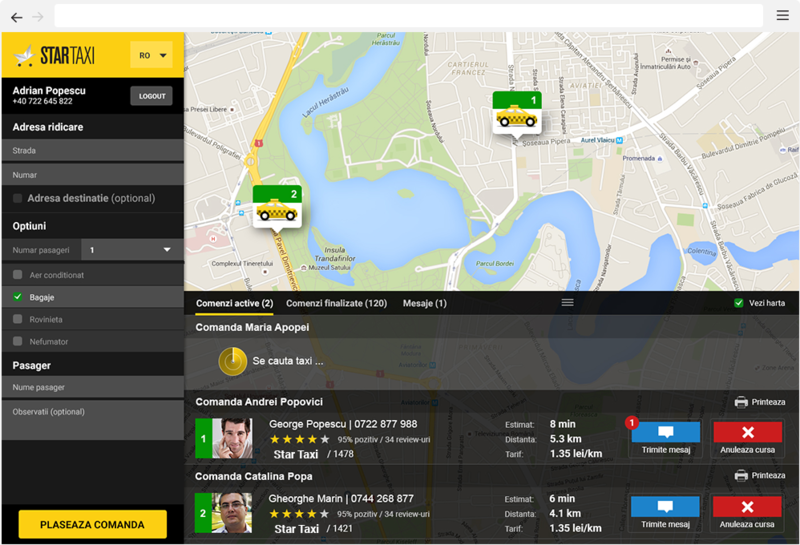 Star Taxi supports your business when it comes to requesting a taxi, simplifying the experience. Your clients’ and partners’ safety and comfort are a top priority for us! We provide you with a free device specially set up for your location. It will only take a click to find a taxi. Furthermore, you can place 3 requests simultaneously. Your clients won’t have to wait anymore.